It’s easy, it’s fast, what are you waiting for? Open your web site on your local machine using Expression Web Designer. Alternately you can click “Local to Remote” to upload your web site to the Winhost server. 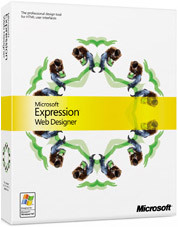 Note: Expression Web Designer uses the Internet Explorer engine to connect via FTP. To establish an FTP connection in Expression Web Designer you will need to go to Internet Explorer Tools/Internet Options/Advanced and ensure that “Use Passive FTP (for firewall and DSL compatibility)” is checked.